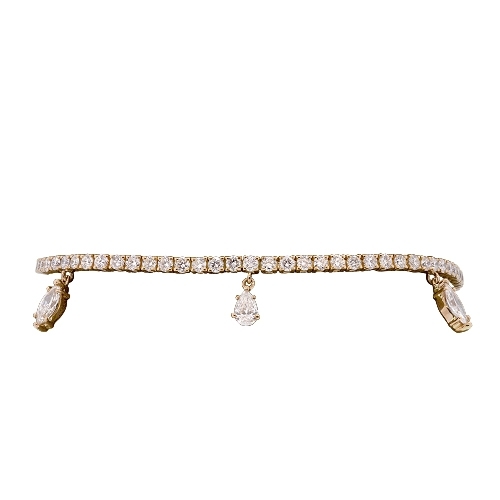 18kt rose gold bracelet in a tennis design set with round brilliant diamonds and dangling fancy pear & marquis diamonds. Diamonds approx. 4.45ct. Bracelet 7"